Mushroom coral (Fungia sp.). 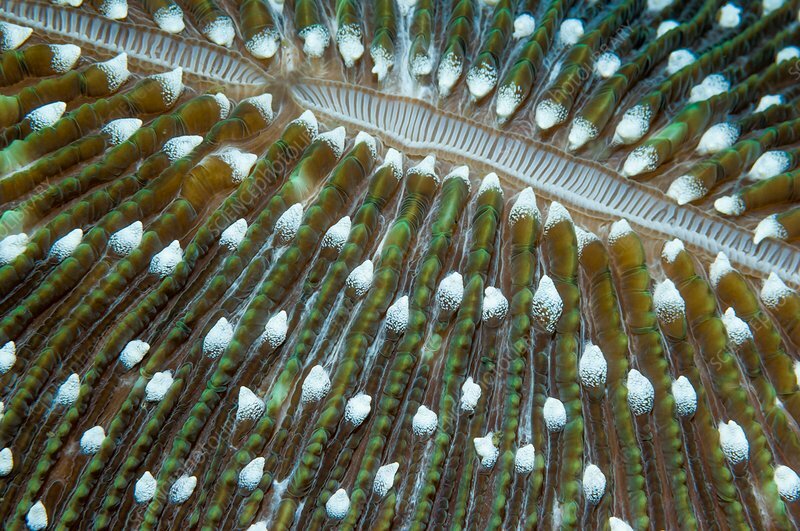 Close-up of the disc of a mushroom coral. Fungia sp. corals are found on reefs in the Indo-Pacific. Photographed in the Lembeh Strait, North Sulawesi, Indonesia.